Calling all chocoholics! Puerto Vallarta Walking Tours is excited to share the news that a brand new walking tour is available in town which has been carefully designed with chocolate lovers in mind. 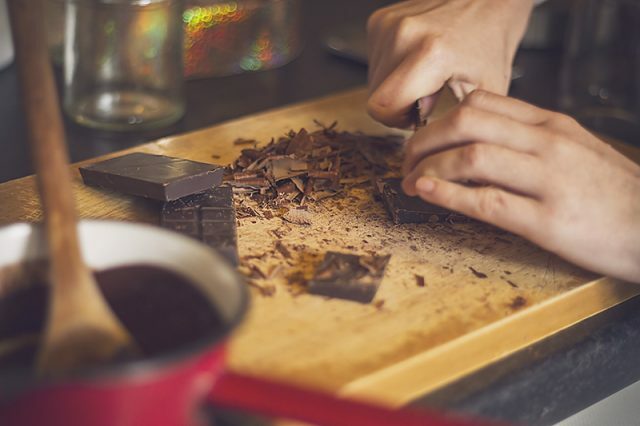 Known as the Chocolate Walk, this small group tour explores the history and origins of chocolate in Mexico and beyond, and gives participants a closer look at the culture and background of Puerto Vallarta, too. Anyone who has a sweet tooth will certainly have an enjoyable time on this tour, so make a point to join in on the fun during your next getaway! 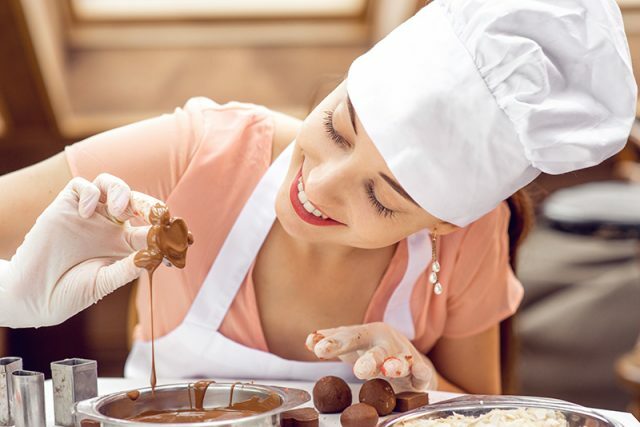 Prepare to be taken on an exclusive tour of three of Puerto Vallarta’s most accomplished chocolatiers during the Chocolate Walk. You will be mesmerized by the exquisite aromas and scents waiting to be discovered inside of two production kitchens, where you will get to taste several goodies. Palate-pleasing chocolates will undoubtedly delight you, and you may be convinced to buy a few treats along the way. Sunset view over cathedral Our Lady of Guadalupe to the Pacific Ocean. 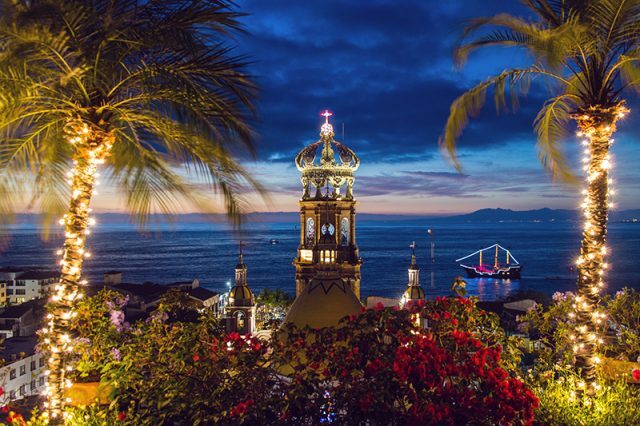 Formerly a quaint fishing village, Puerto Vallarta has grown immensely over the years, which you will learn more about during your walk through town while getting from one shop to the next. You can look forward to exploring the fascinating origins and transformation of chocolate over the centuries. It is truly remarkable to consider that a beverage consumed by the indigenous peoples of Mexico found its way to Europe, which would eventually become one of the world’s most beloved treats. 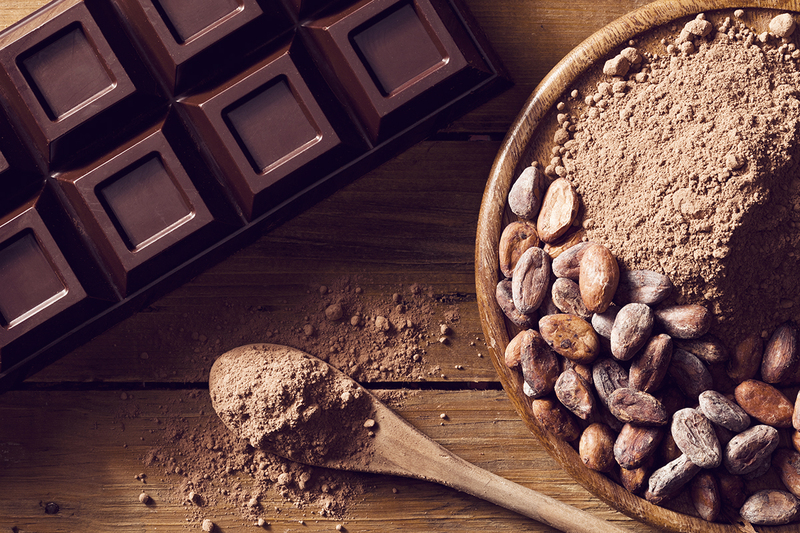 Chocolate in Mexico dates back around 4,000 years ago, when a number of indigenous groups such as the Aztecs and the Mayans discovered the wonders of the beans that come from the cacao tree. Both of these groups believed that cacao beans held mystical qualities that led them to be used in certain rituals that were linked with important milestones including birth, death and marriage. The Aztecs included the beans in an ancient ceremonial drink, while the Mayans typically used the beans for medicinal reasons. The Aztecs called the beverage they brewed from cacao beans “xocoatl”, which etymologists credit as the inspiration for our modern term “chocolate”. The final activity during the tour is a mini-class where you get to create your own version of the ancient Aztec drink by roasting and grinding cacao beans. You can judge for yourself if the beverage the Spanish Conquistadors were so crazy about is as delicious as they believed it to be. Of course, every great tour allows plenty of time for participants to do a little shopping, and with so many chocolate-themed items available, including scrumptious candies, and body lotions and soaps crafted with locally made chocolate, you may just shop ‘til you drop! Tours will be available on Wednesdays at 10am and Fridays at 2pm starting on October 18th. For more information or to book your tour online, visit PuertoVallartaWalkingTours.com. The Chocolate Walk in Puerto Vallarta is an excellent way to immerse yourself in the delicious culture of the phenomenal beachfront city, so don’t miss it! Previous PostQuinoa – Superfood or Just Super Expensive?